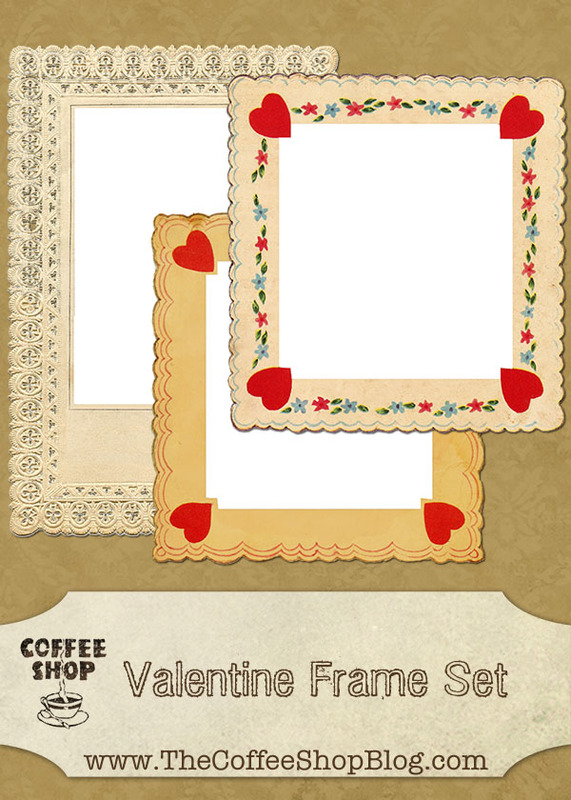 The CoffeeShop Blog: CoffeeShop Valentine Frame Set! Today I wanted to post some free vintage Valentine frames. I created these from design elements from The Graphics Fairy. I love that site! These are simple .png images so you can simply drag your images behind the frame and then save as a png if you are placing it on a colored background or as a jpg if you are posting it on a white background. You can download them on the bottom of this post. Download the free CoffeeShop Valentine Frames Set! You can also download it here. Super cute vintage frames! Thanks oodles for sharing sweetie. Thank you they are so cute!